My li’l blue-eyed beauty woke up this morning when I was off, brushing my teeth. That is when I heard a sweet li’l voice calling, “Maaamaaaaaa?” So, I rushed to the bedroom and found a cute, little girl, yawning and rubbing her sleepy eyes under messy curls. She fumbled to the edge of the bed and wrapped her arms around my neck. Then, she settled down and said, “Mommy, I want someteeng to eat. And juice. And I want to watch Hello Keetty,” finishing with, “In bed.” The first thing that came to my mind was flan. Flan for breakfast. Is that wrong? Every morning, it’s the same routine, serving her Royal Littleness while scrambling to get myself ready for work. Sometimes she asks for Peppa Pig or Pingu, but her demands are otherwise the same. It’s that soft, warm hug that reminds me every day how grateful I am to be her mother. So I make a mad dash for the kitchen, get a bowl of blueberries rinsed, a sippy of mango-peach-orange juice (her fav) and gummy vitamins ready for delivery. After serving my little sweetheart, I make another mad dash, this time for my coffee. That is usually when crazy ideas cross my mind. Today it was making the batter for a cake before I leave for work so that when I get home all I have to do is toss it into the oven. Genius, right? came flying out of my mouth. There I was, creaming some butter with sugar in my stand mixer when a big, fat chunk of cold butter curve-balled right out of the bowl, landing in my blouse. Clearly, the butter was not softened enough. All operations in the kitchen came to a screeching halt as I made a mad dash to the laundry room, then the shower. It is not exactly a great feeling, being assaulted by a dairy product. Life in the professional kitchen is a foodie’s fantasy, but in reality, it can be quite hectic. I wondered how hectic. So I asked someone who would know. James Beard Award winning executive chef, cookbook author and owner of several fab Miami restaurants including the famed Michy’s needs little, if any introduction. That would be Michelle Bernstein who is one very busy lady. With her husband and mother at her side, it’s a family affair presenting gourmet dishes with an eclectic take on Latin favorites. Balancing motherhood with a demanding culinary career, she still manages to find time as founder of a local chapter of a program that engages youngsters to learn to cook and eat better, something we all strive to do for our kids. Casting her signature bright smile also makes her the perfect TV personality and may have contributed to her victory on Iron Chef. But, you do not have to go as far as Florida for a taste of her creations – Just fly Delta, business or first class. Despite her dizzying schedule, the acclaimed chef made time to share a few, fun facts with me. Coco: Growing up, who cooked? Mom, Dad or both? Coco: What’s the best thing they cooked for you? gnocchi in cream sauce paired with braised chicken thighs with pizza spices. Coco: How many siblings do you have? Coco: What do you do for fun? Chef Michelle: Go to the beach with our son or biking or grilling out with friends. make our garde manger cooks try the lettuce before plating a salad. Coco: What is your biggest challenge as a female chef? Chef Michelle: I don’t see the difference. of flavor or fillings, just really good quality chocolate. I tried a dark chocolate bar called Pacari recently that was unforgettable. Coco: Do you love shoes or handbags? Chef Michelle: Both; but I have a bit of a shoe…problem. Coco: Do you prefer sweet over savory? She may not have a voracious sweet-tooth, so you can bet your first-born that Michelle Bernstein’s desserts are absolutely fabulous, especially one from her own mother. This Mother’s Day, don’t just buy Mom a pearl bracelet or an iTunes gift card. Make something for her, like a silky, rich flan and serve it as breakfast in bed. Yes, for breakfast. Why not? 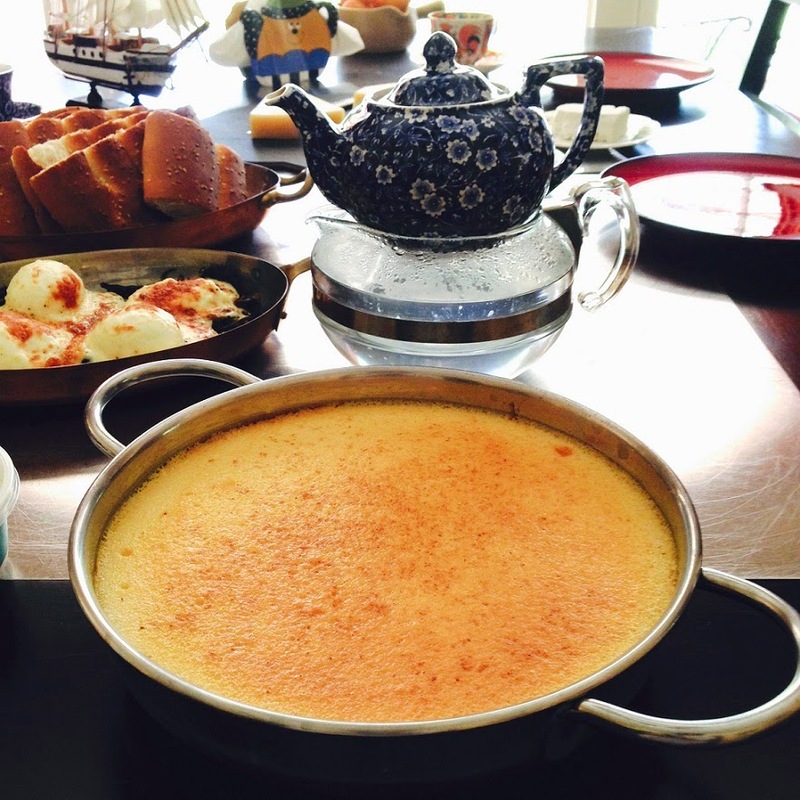 Flan has all the breakfast basics in check: Eggs, cream cheese, milk. How decadent would that be? Chef’s Michelle’s recipe is flawless and easy to follow. The chef uses an ovenproof glass baking dish, but metal works really well, too. Just remember to make your caramel first, even the night before. Wait for it to cool completely before adding the custard. 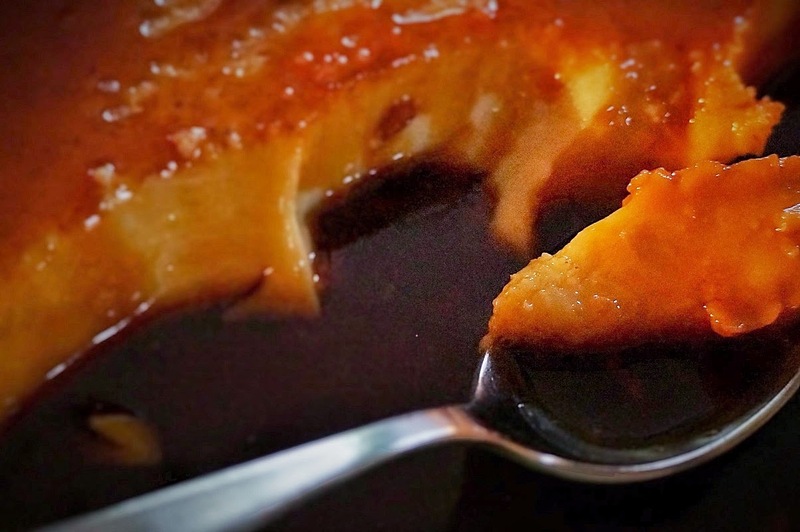 Sugar retains a lot of heat and, if the caramel is still hot, it will start cooking the eggs in the custard, making the flan taste “eggy.” Wait for the caramel to cool, then add the custard. Blend the custard to a perfectly smooth consistency. An immersion blender works very well. Place all the ingredients into a blender and mix until smooth with no lumps, about 3-5 minutes.Set aside. Place the sugar and water in a small pan. Cook over medium-high heat until it becomes golden, making sure not stir at any time. Carefully pour the flan into the prepared dish with the caramel. Place the dish in a baking pan, and pour in enough hot water to reach halfway up the sides of the flan dish. Cover only the glass baking dish with aluminum foil. Place the pan in the center of the oven, making sure not to get water inside the flan dish [Editor’s note: pour water into baking pan once it is in the oven to ensure no spillage]. Cook for about an hour, or until the flan is set. Let the flan cool completely, then refrigerate until very cold. When ready to serve, remove the flan by turning the dish upside down on a large plate. Tomorrow, the famous Michy’s of Miami reopens as Cena by Michy with a fresh new look and innovative menu. Cena means supper in both Italian and Spanish, The new restaurant features mouthwatering creations like Sunchoke and Potato Hash, but Chef Michelle’s Flan de Mama is a family classic. With Mother’s Day peeking around the corner, we are lucky she shares her recipe. 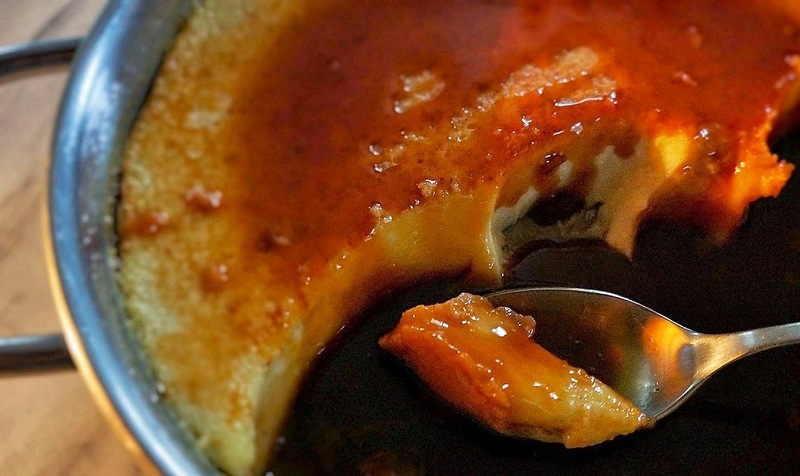 Flan is the Latin cousin to the French crème caramel. For years, I’ve been using the same recipe. It’s fullproof, delicious, never eggy. But, now, I am officially ruined. This morning I ate the last of it for breakfast with fresh raspberries. Michelle Bernstein’s flan is sheer luxury that you can recreate at home. Rich, creamy, luscious and so easy to make that you will have it ready when Mom opens her eyes on Sunday morning, because she deserves the very best of everything. Lovely recipe and hope everyone has a great mother's day! Great interview – and recipe! But my favorite is her Royal Littleness! I should try that and see if Mark complies! Your posts always make me smile sop broadly, Colette! Have a lovely weekend! That flan looks fabulous and so delicious. I love flans, one of my favorites. Great interview! I laughed when I read the words… I've got butter in my cleavage. Geez! This never happens to me because I don't really have a cleavage… LOL! Beautiful flan and a great interview. Mother's Day was lovely. I was spoiled as usual. Hope your mum had a great one, too. I so enjoy your comments and the fact that you enjoy the stories of our daily life. Greg, this one is full-proof and addictive. Let me know if you try it! Thanks, Jo. Hope you try this one. Hi, sweetie. Yes, well, I don't have much of a cleavage, but nevertheless the sensation of cold butter in that general bosom area is so ….oh, what's the word I'm looking for here? UNSETTLING! I will properly soften my butter from here on out! 🙂 Loved the post – and the interview. In an interesting “small-world” side note, my sister was married to Michelle's cousin, and my sis enjoyed several of her creations – both in Florida, and at family gatherings! Sounds delicious. I have never made flan. I really need to one of these days.